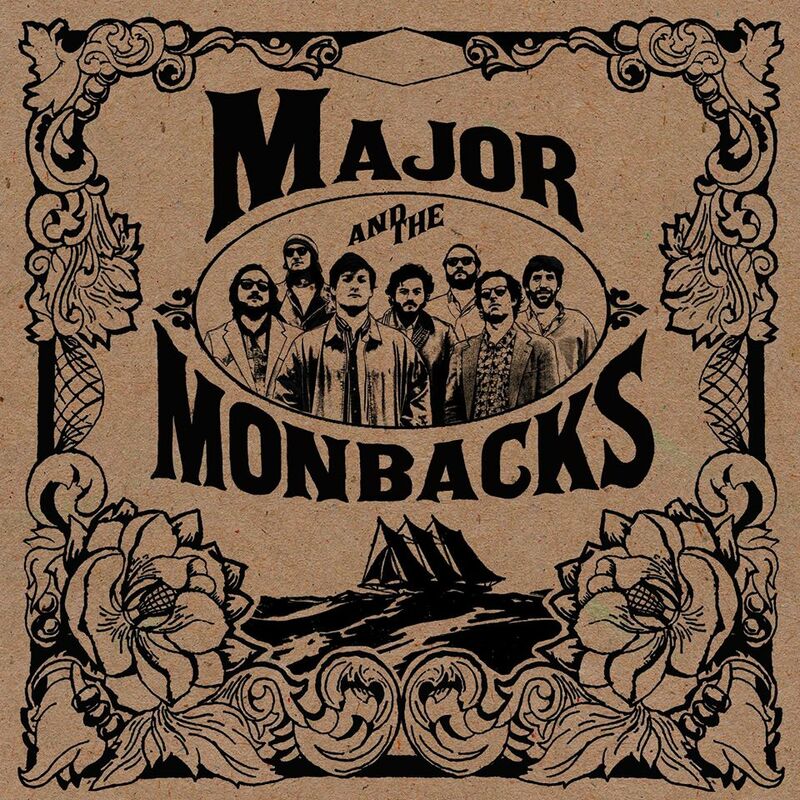 Founded in Norfolk, VA by twin brothers Neal and Cole Friedman in 2008, Major and the Monbacks is beginning to make some waves with their debut self-titled album. The band was formed with a group of high school friends, Michael Adkins, Harry Schloeder, and Tyler West, and today they have toured extensively along the east coast. The Monbacks’ distinct brew of rock & roll spans across geographic locations, as well as generations. The band’s influences shine through in its songs and grab hold of listeners. Known for their raucous stage presence and uncanny ability to keep dancefloors on their feet, the Monbacks’ debut full length album attempts to capture the essence of what makes us all move and groove. The album starts with “I Can Hardly Wait,” which brings back tastes of the psychedelic ‘60s with simple, catchy rhythms and euphoric harmonies. Their Southern Soul begins to shine through with the upbeat, funky dance tune “Somedays.” Next comes “Annabelle,” which sounds like it could have come straight out of Stax Records. The passionate vocals and powerful, harmonic horn parts are reminiscent of that classic Memphis Soul. To top it off, a driving four-to-the-floor bridge builds up some intensity. Then the band slows down the tempo a bit with “Don’t Say A Word,” but they do an excellent job of keeping the emotion alive. “She Don’t Knock” closes out the first half of the record with the tempo staying slow and a strong groove, flowing in motion, the swooning horns capturing the heart and soul. “Sunshine” kicks off the second half of the album. This tune is simply a glorious tribute our beloved sun, singing, “Goodbye stormy skies. It’s time to say goodbye” in a beautiful chorus. “Be My Baby” takes the feel back even further to more of a ‘50s style of rock & roll, fast paced, driving, and almost swing-like. “Magnolia” followed up as a lengthy ballad, led by impeccable three-part vocal harmonies. “Fool” brings back the upbeat feel, while the vocals take hold and tug at the heartstrings. Finally, “I Do” kicks it into high gear to finish off strong in a wave of energy. The finale invokes images of Otis Redding stomping around the stage as he belts out the final chorus of “Try A Little Tenderness” while the Bar-Kays rock out behind him. Overall, this album is a fantastic debut for a band with a bright future. With a broad range of styles, ensnaring lyrics, a full 8-piece lineup, and nonstop soul, Major and the Monbacks will be sure to keep the groove rollin’. The band will be performing tonight at Gypsy Sally’s in DC as part of their album release tour suppported by Lava Fest and LiveMusicDaily. Tomorrow they hit Lava Fest along with several other stellar acts. Previous PostDear Jerry • Live Streams for Tonight!